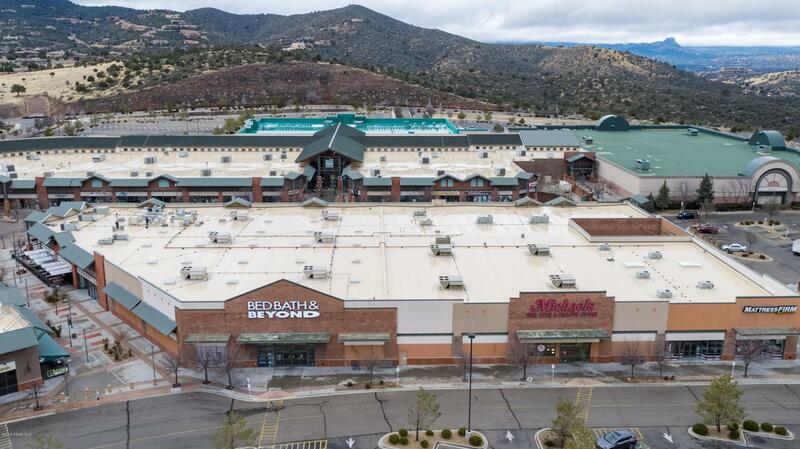 The Largest outbuilding at the Prescott Gateway Malls Regional shopping center is Village Shops B. The 71,549 sq. ft. multi-tenant center has eight leasable suites currently occupied by Bed Bath & Beyond, Michaels, Mattress Firm, Micro AZ, Goods from the Garden and Compassion Transportation. The property is currently offered at a little over $85 dollars per square foot which is way under replacement cost. Lots of upside with over 10,000 sq. ft. of vacant space to Lease and current rents providing an 8% CAP RATE. Gateway Blvd and SR 69 is the busiest intersection on SR 69 with 46,678 vehicles per day. Listing provided courtesy of Matthew Fish of Sumner Commercial Real Estate.